or even send flowers anonymously! 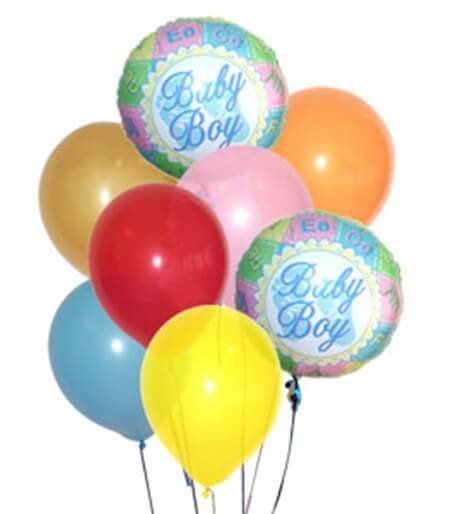 Festive balloon bouquet consisting of 6 latex balloons and 2 mylar Baby Boy balloons. Balloon types may vary.